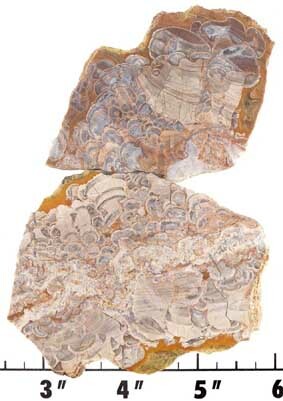 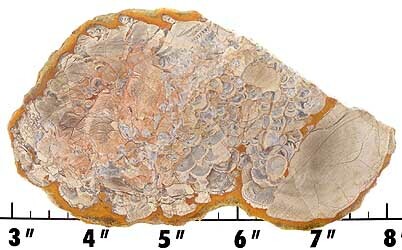 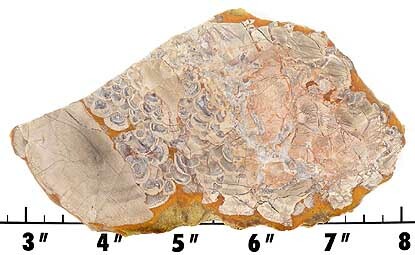 Mushroom Rhyolite has a cool pattern created by gas pockets when the rhyolite was molten that later filled in with silicated material. 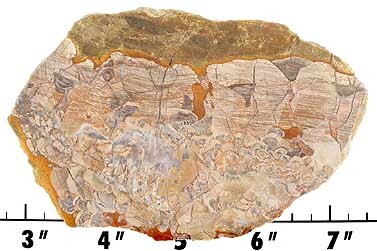 Rhyolite is of volcanic origin. 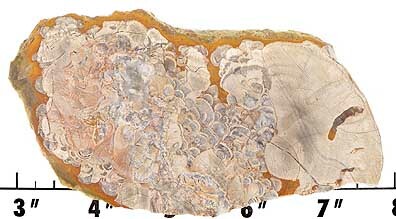 It polishes well with diamond, tin oxide, or cerium oxide. 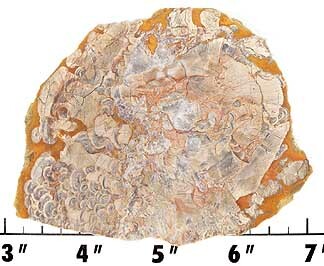 MOHs hardness is 5.5 to 6.